Yesterday, the Pentagon announced that US military and law enforcement personnel cooperated to capture Ahmed Abu Khatallah in Libya. Khatallah is said to be a key figure in the 2012 attack on the American consulate in Benghazi. Few details have been offered in regards to the operation. Reports have suggested that 1st Special Forces Operational Detachment – Delta, better known as Delta Force, and members of the Federal Bureau of Investigation’s Hostage Rescue Team performed the raid. Pentagon Press Secretary Rear Admiral John Kirby said that no casualties of any kind were sustained on either side or among innocent bystanders and categorized the mission as a “success.” Rear Admiral Kirby declined to go into any further details on the capture itself. 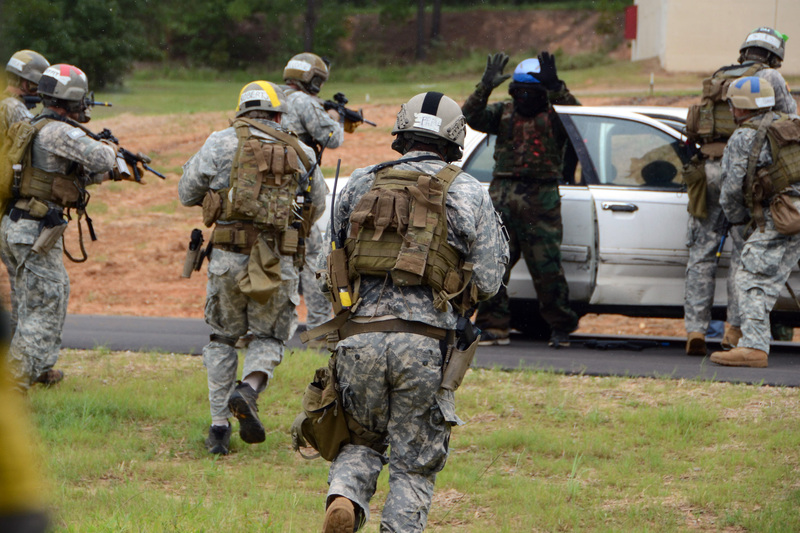 US Special Forces “interdict a target vehicle” during training at the John F. Kennedy Special Warfare Center and School at Fort Bragg, North Carolina in 2012. Khatallah was then reportedly whisked out of Benghazi, Libya where he was captured and placed in Department of Justice custody. The Pentagon declined to say where Khatallah was being held, but said he would be tried in a US court over the 2012 attack. Khatallah is described as being central to the attack on US diplomatic facilities in Benghazi on 11-12 September 2012. During the attack, US Ambassador to Libya J. Christoper Stevens and three other Americans were killed. The circumstances of the incident and the US military’s response, codenamed Operation Jukebox Lotus, continue to be controversial among certain domestic political factions. This is at least the second raid in Libya in the last 12 months to capture a figured accused of terrorism by the US government. American commandos launched another raid last October to capture Abu Anas al Libi. Libi was wanted in connection with the 1988 Pan Am flight 103 bombing and other crimes. The Obama administration has been criticized in recent years for its reliance on targeted strikes by unmanned aerial vehicles rather than attempting to capture terror suspects. The raid last October and this operation yesterday have been cited as examples of a possible shift in policy. American drone strikes continue in other parts of the world, however, suggesting that this might not necessarily be the case. This entry was posted in Uncategorized and tagged Benghazi, Libya, special operations, terrorism. Bookmark the permalink.